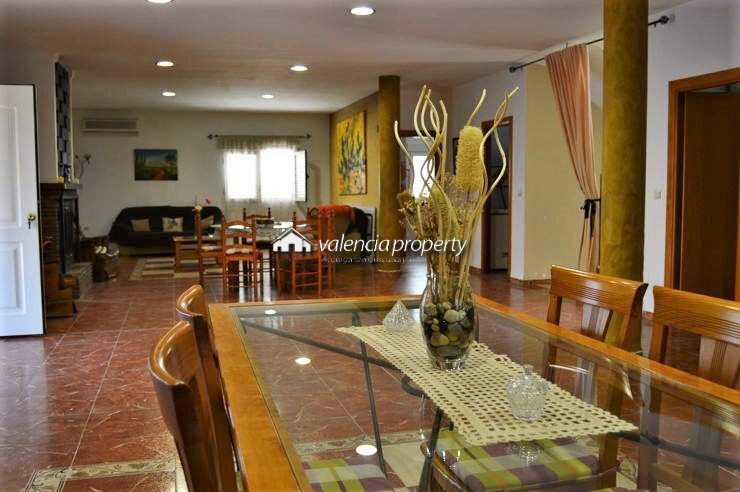 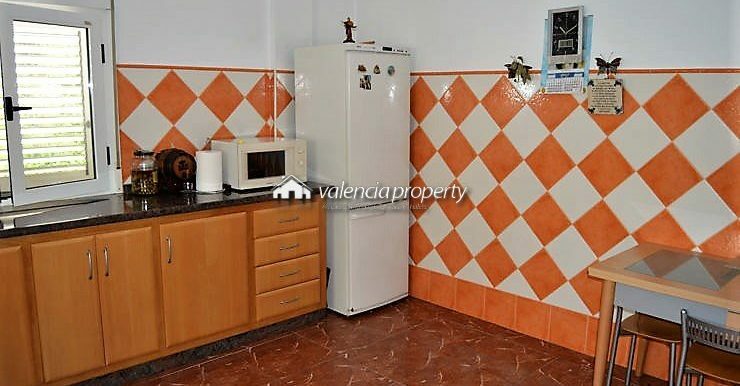 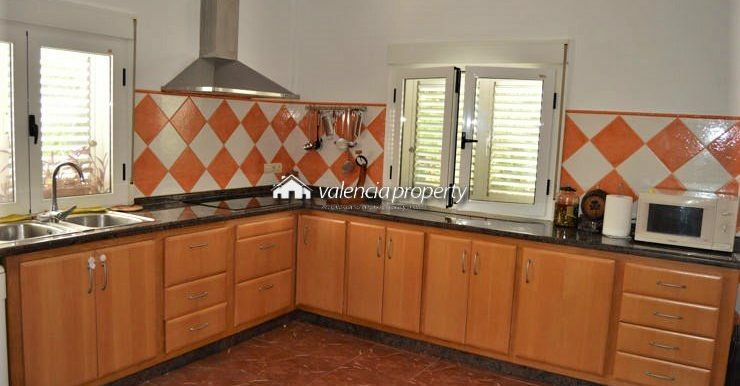 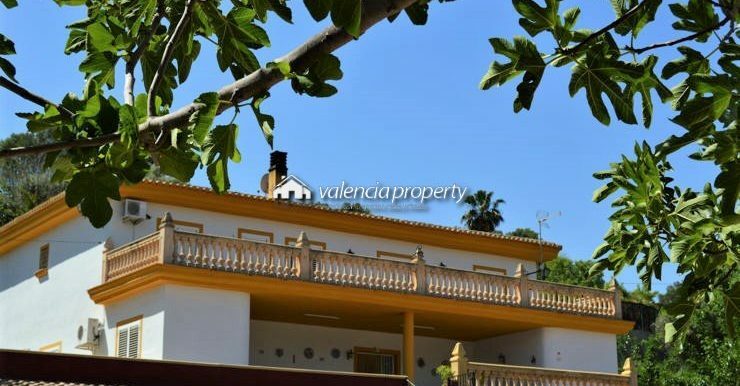 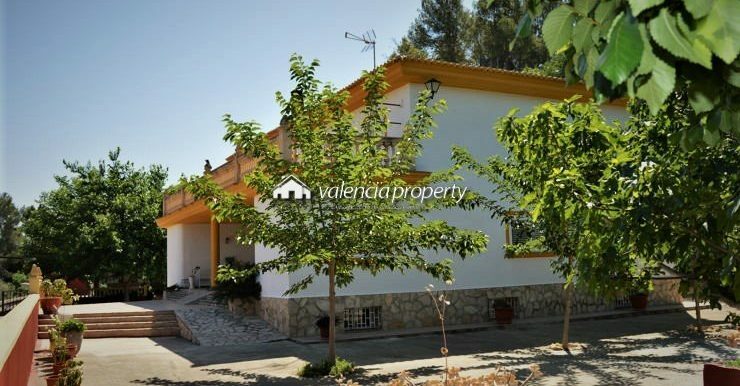 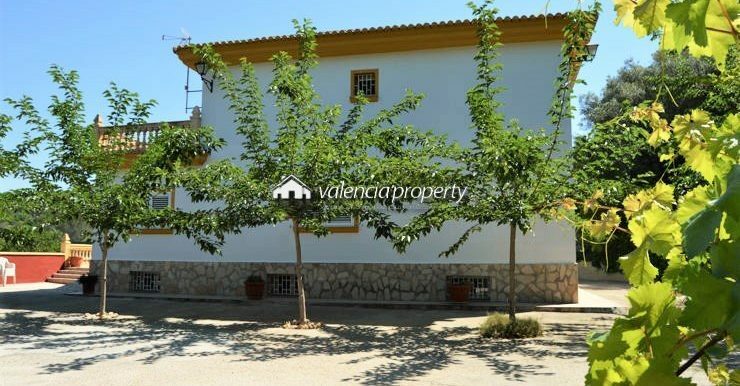 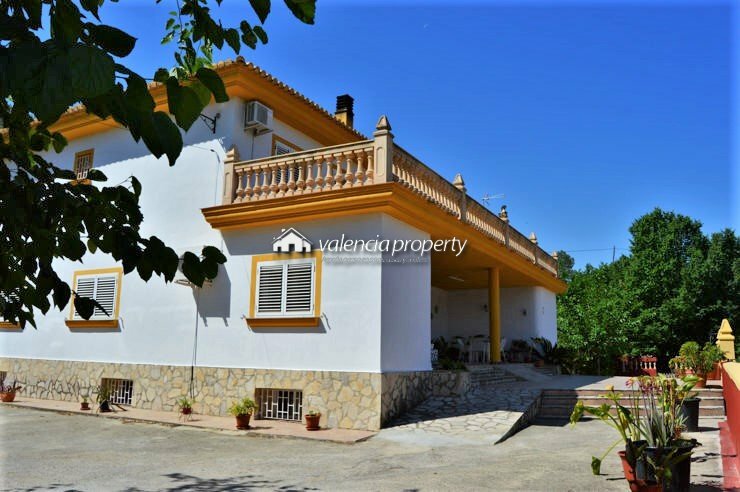 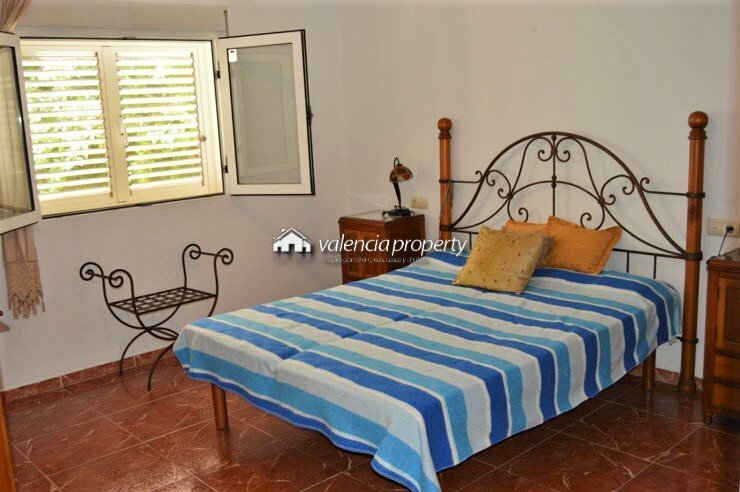 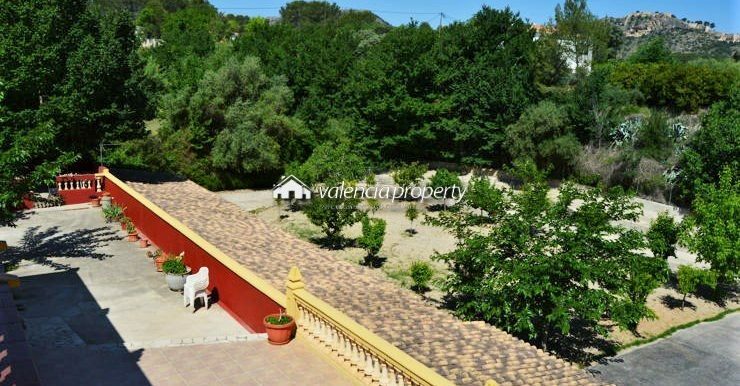 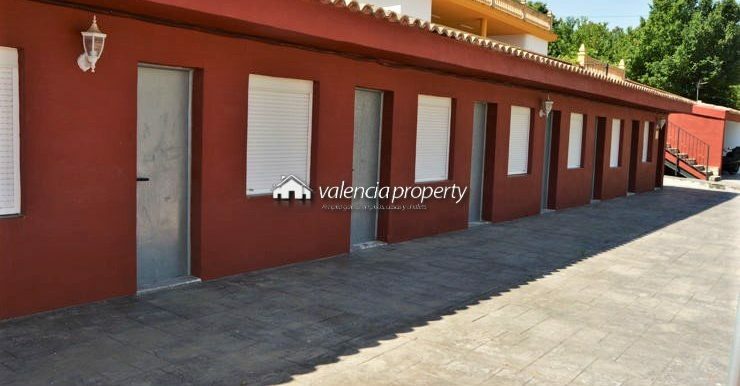 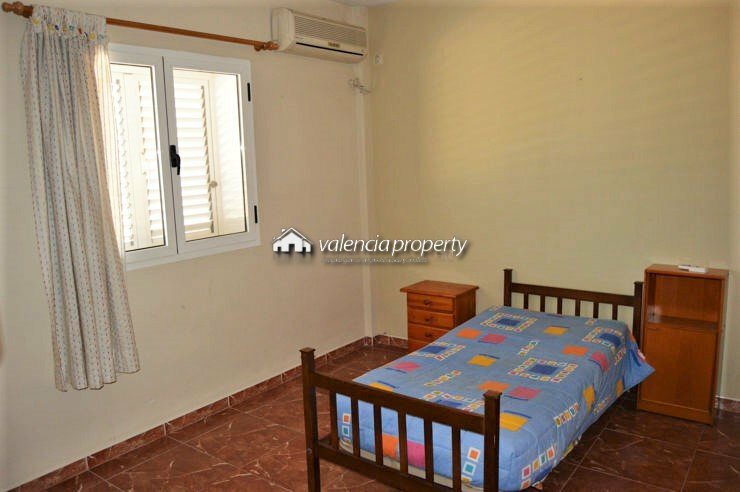 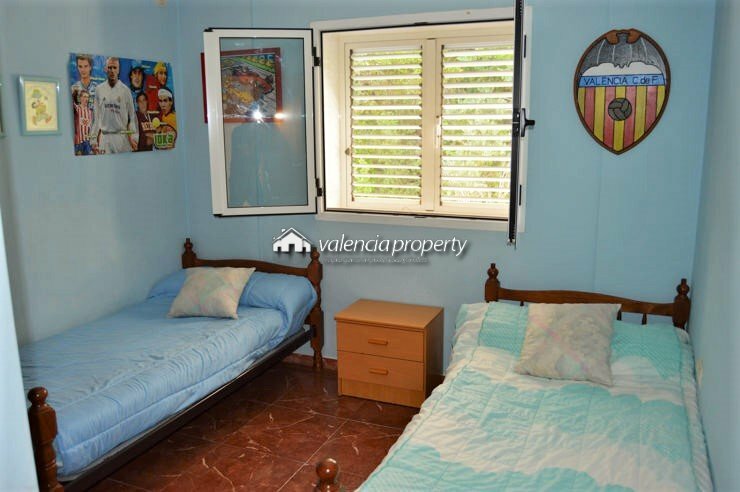 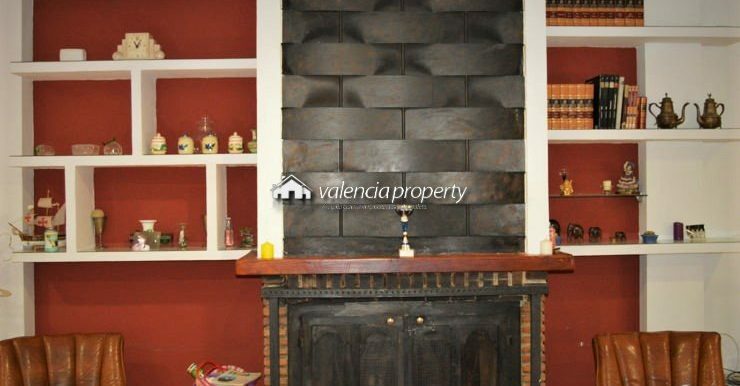 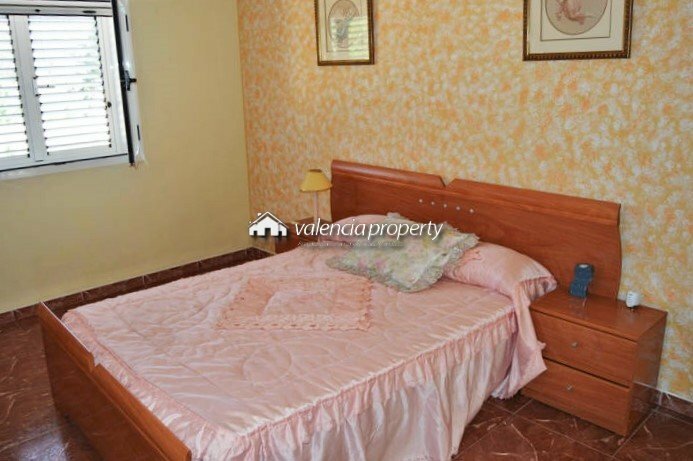 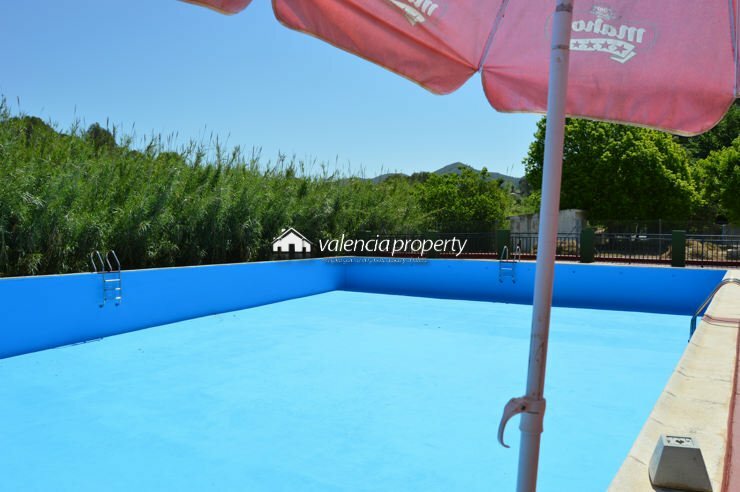 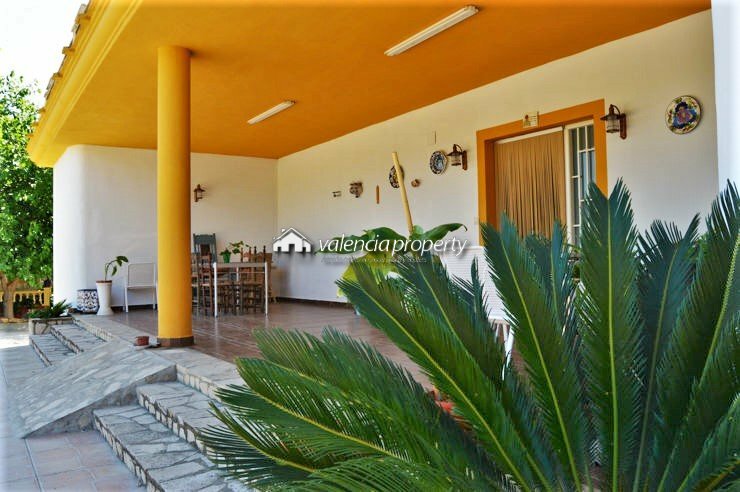 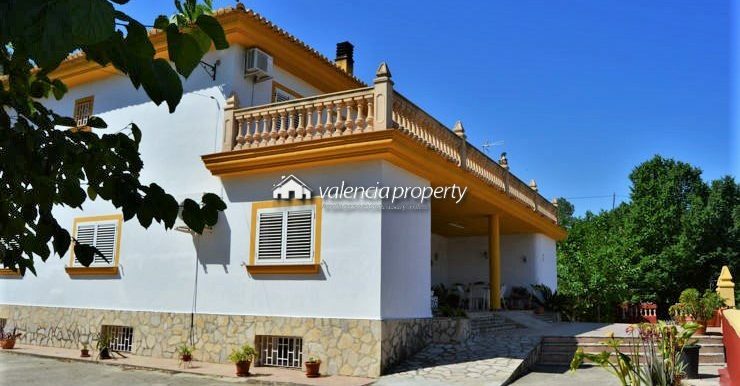 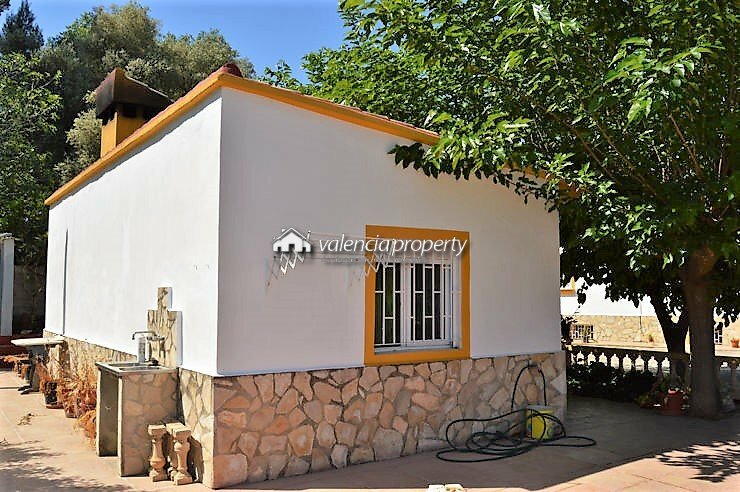 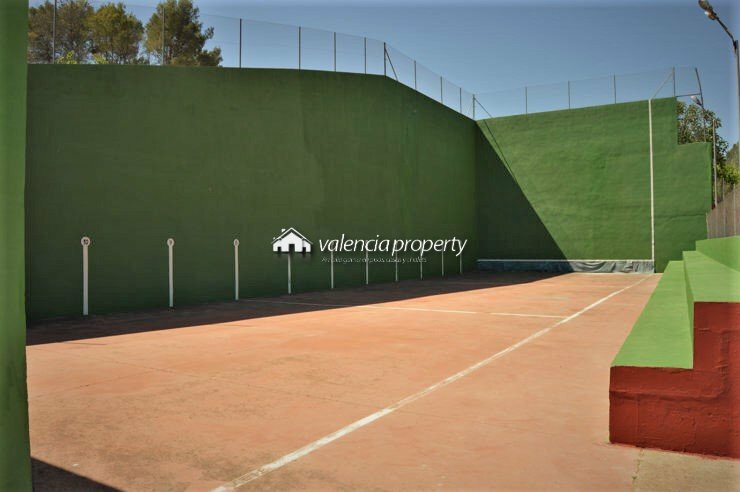 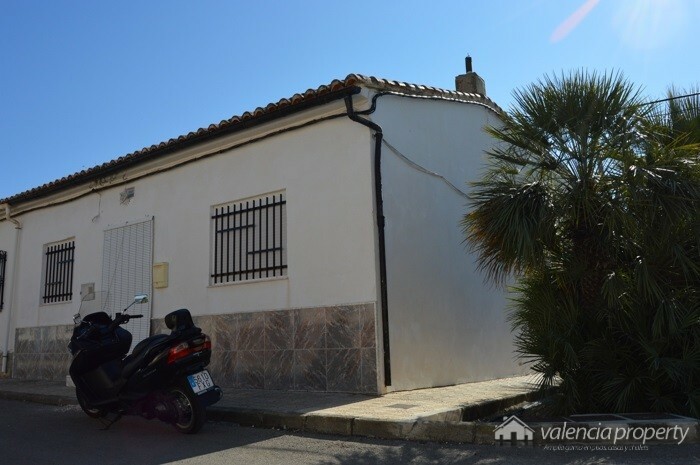 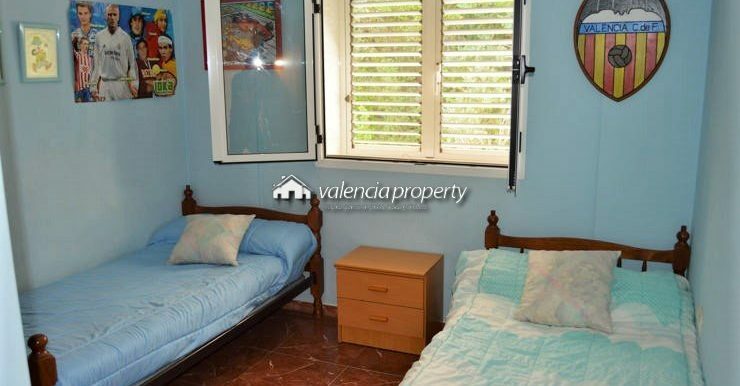 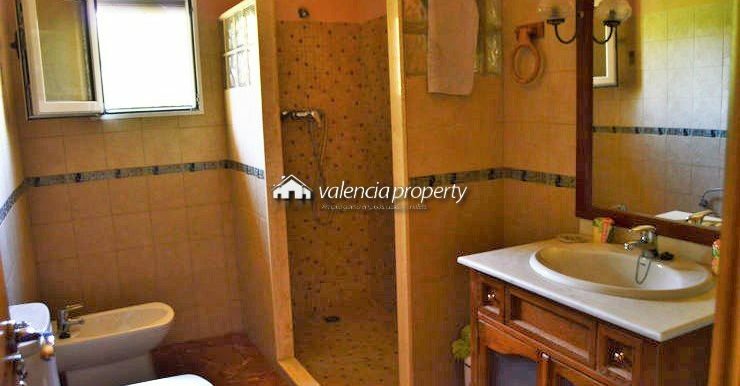 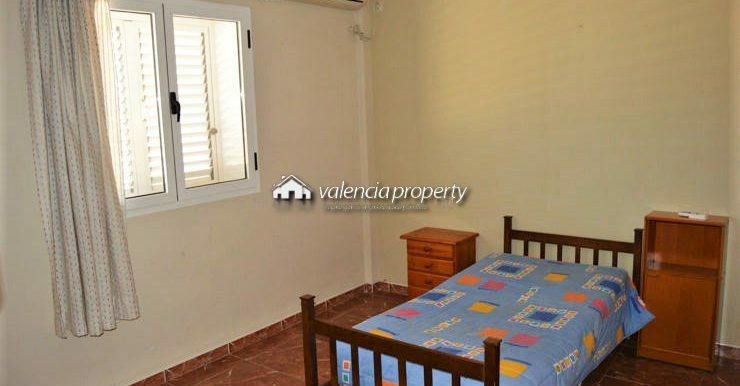 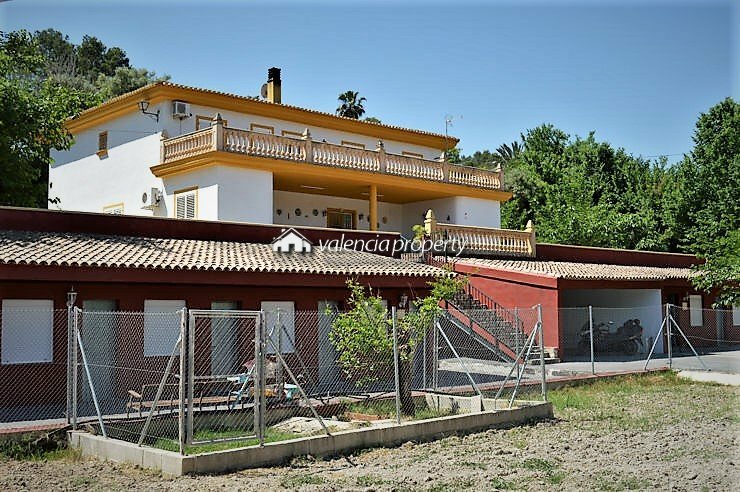 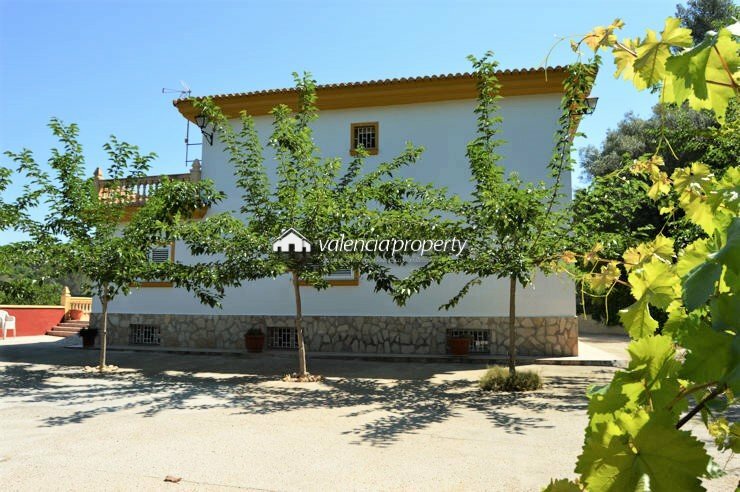 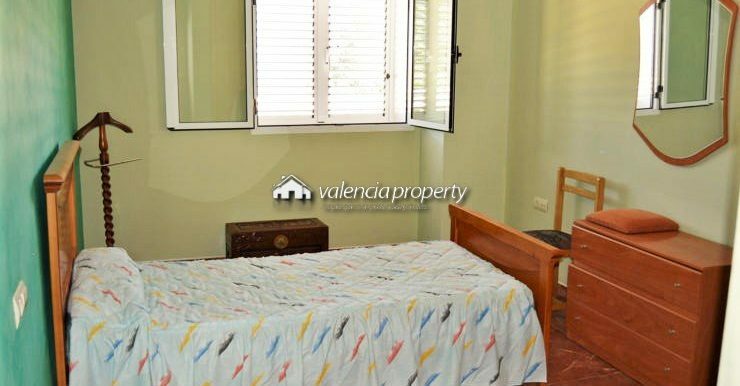 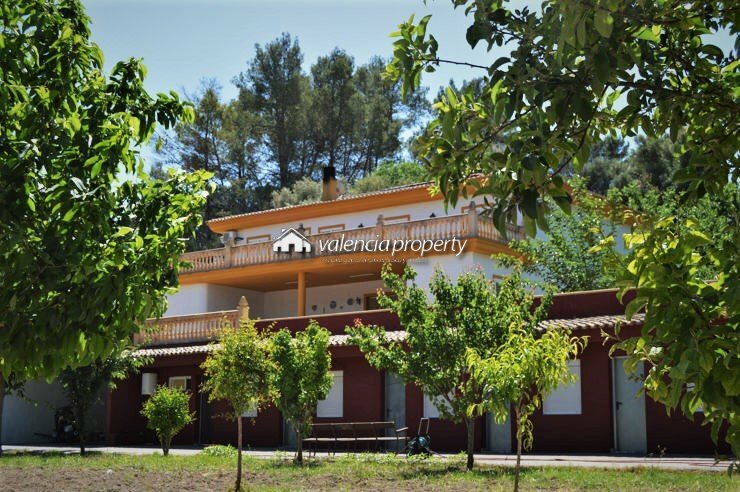 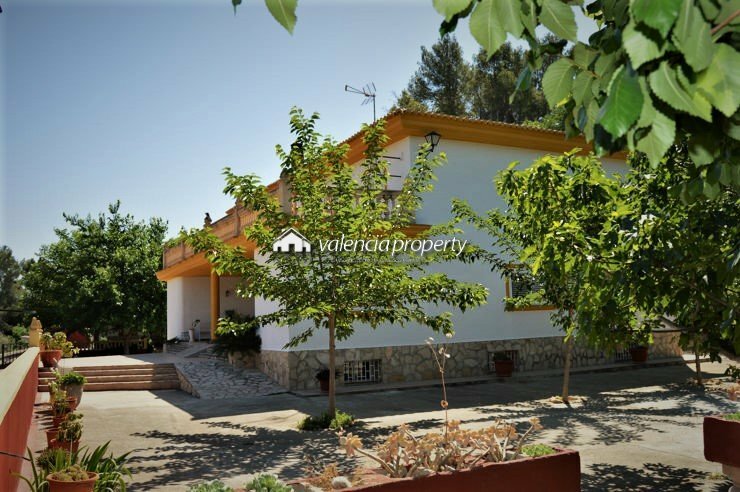 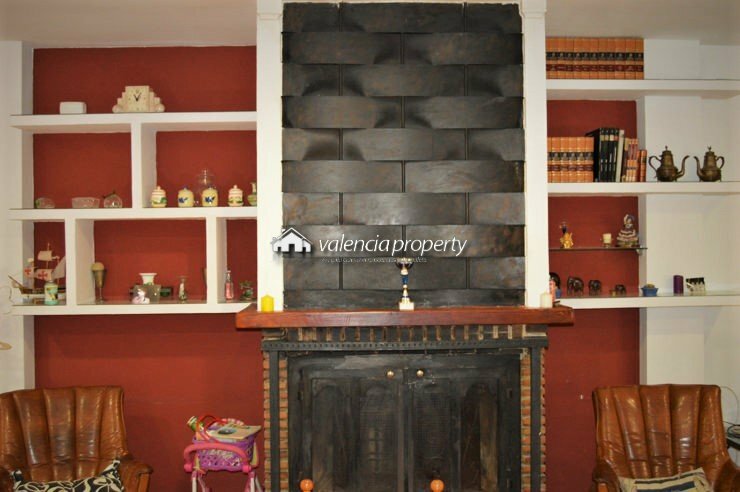 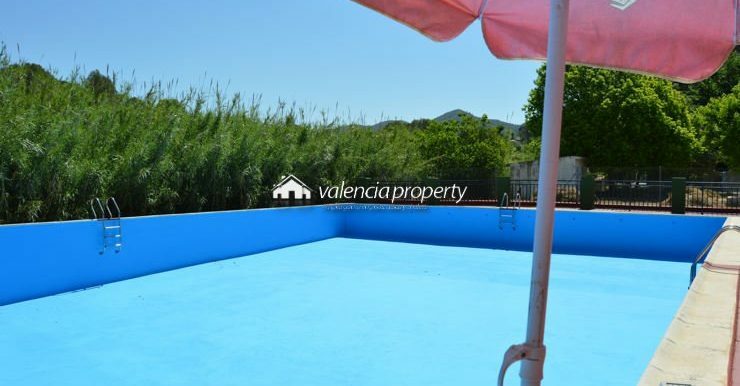 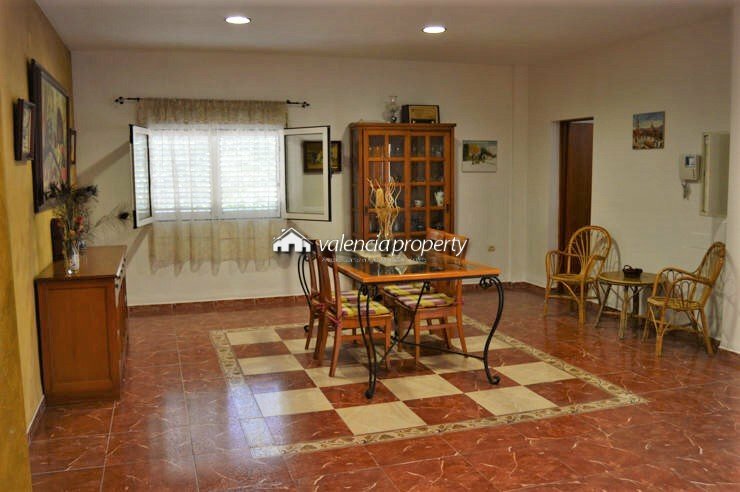 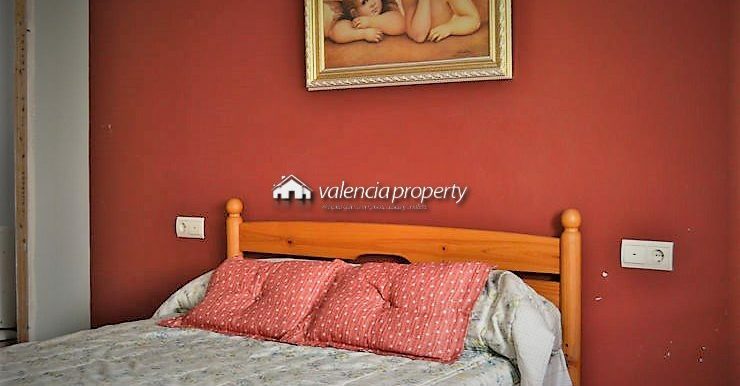 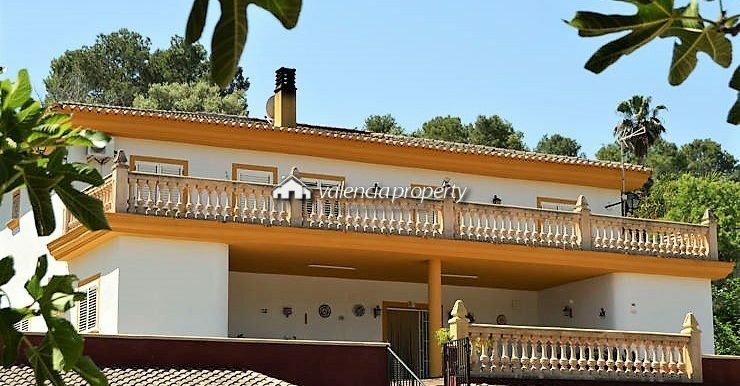 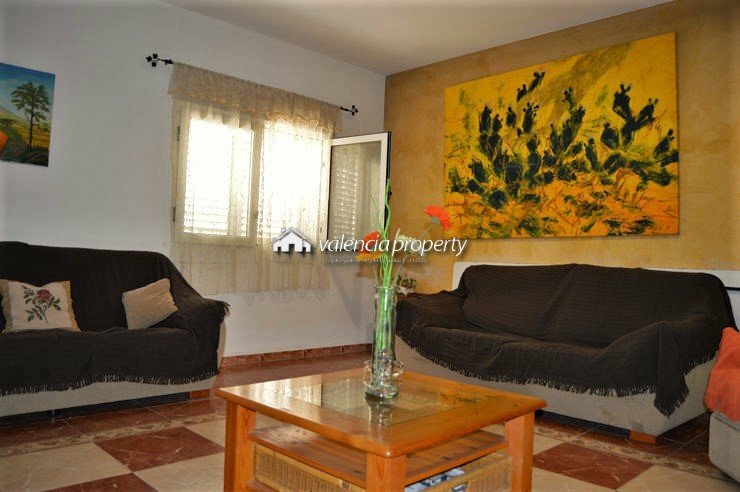 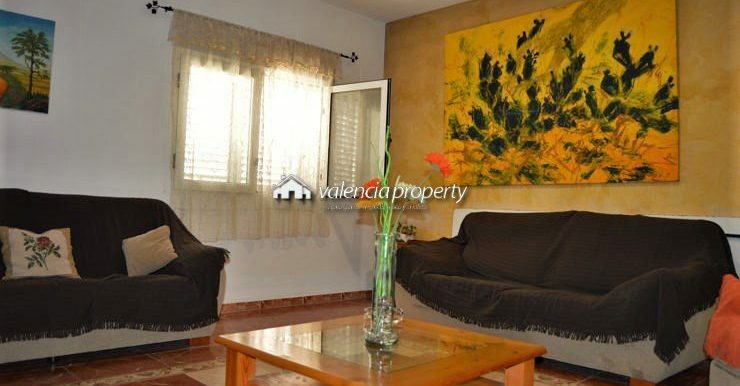 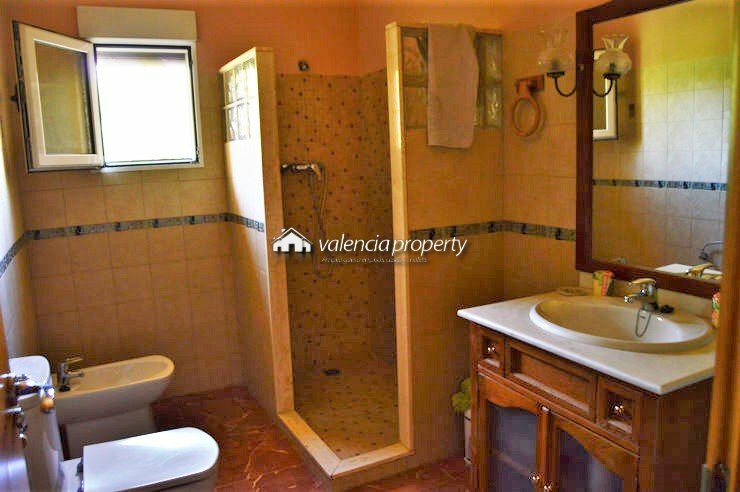 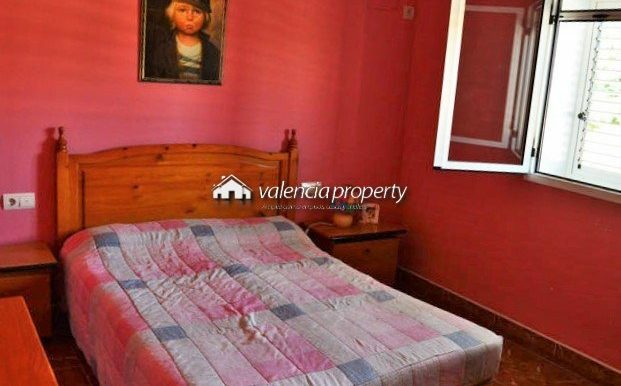 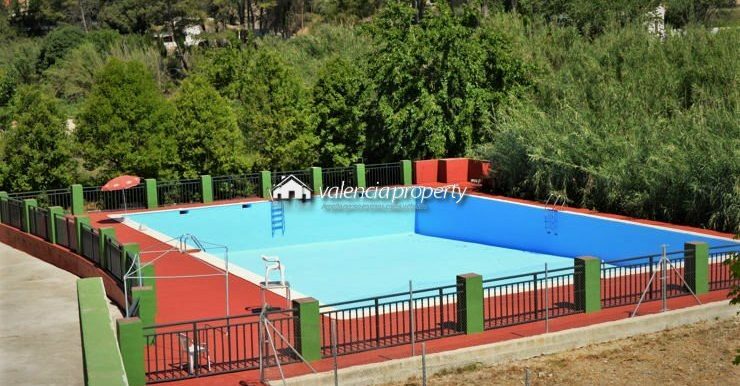 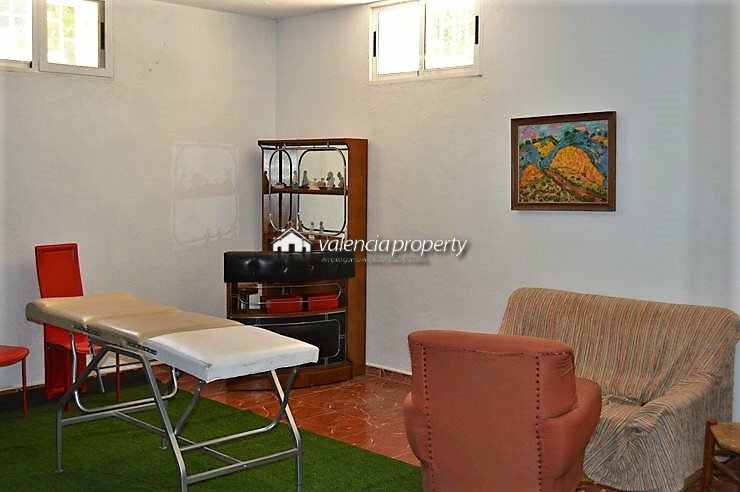 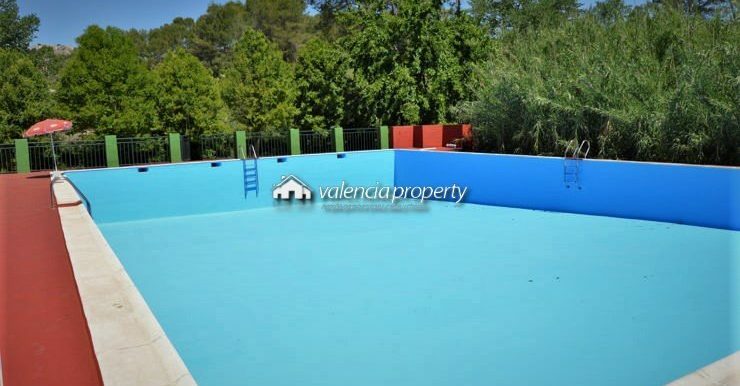 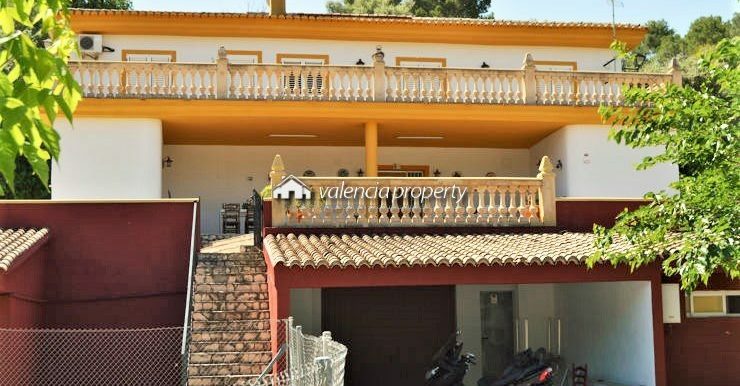 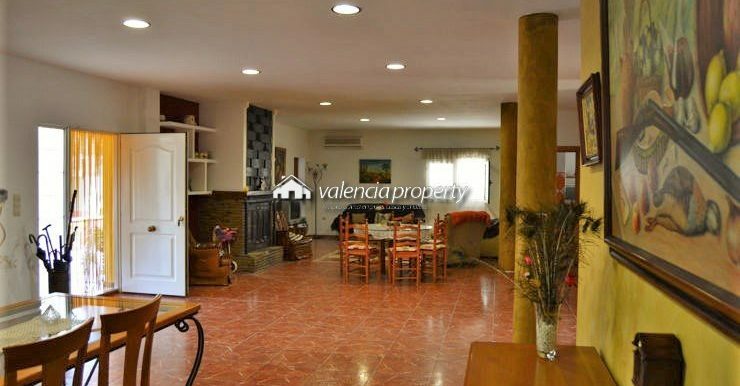 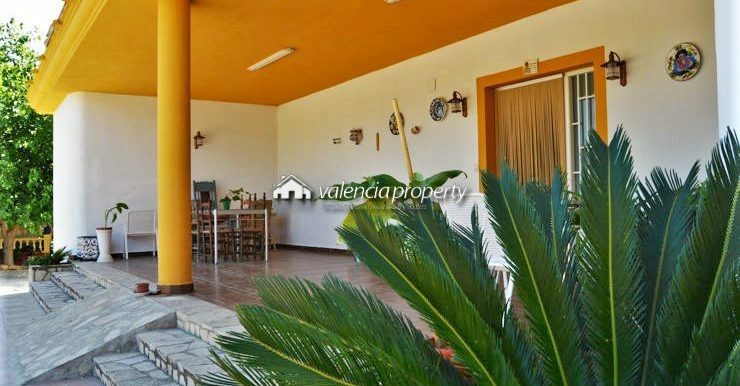 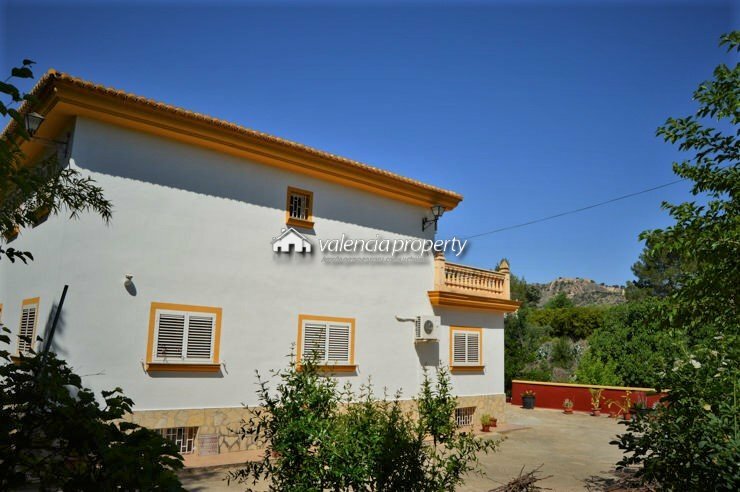 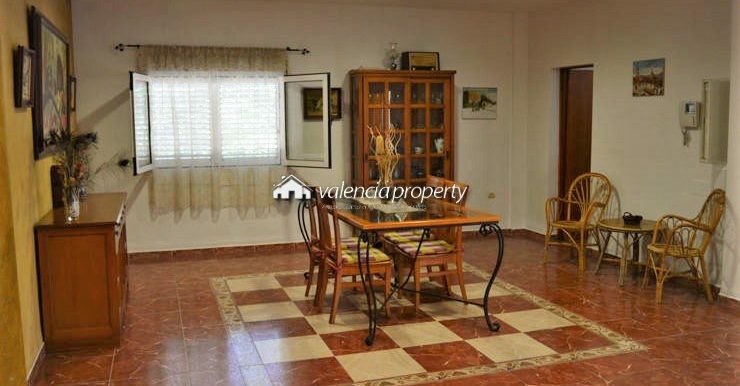 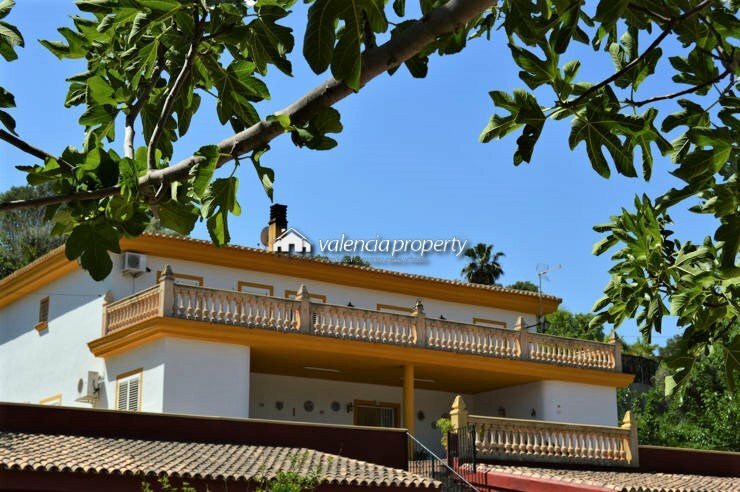 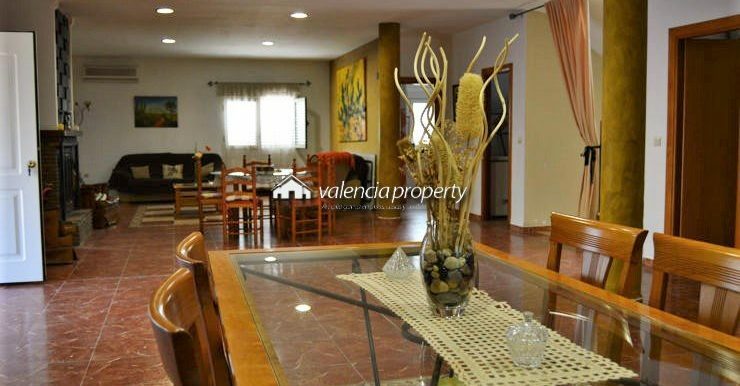 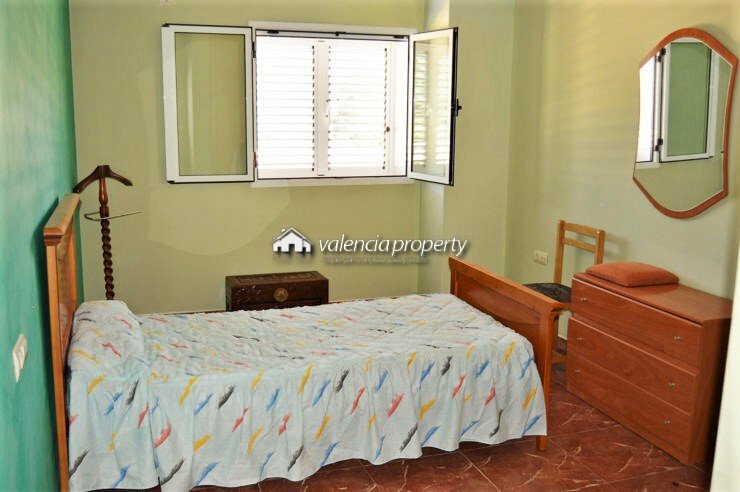 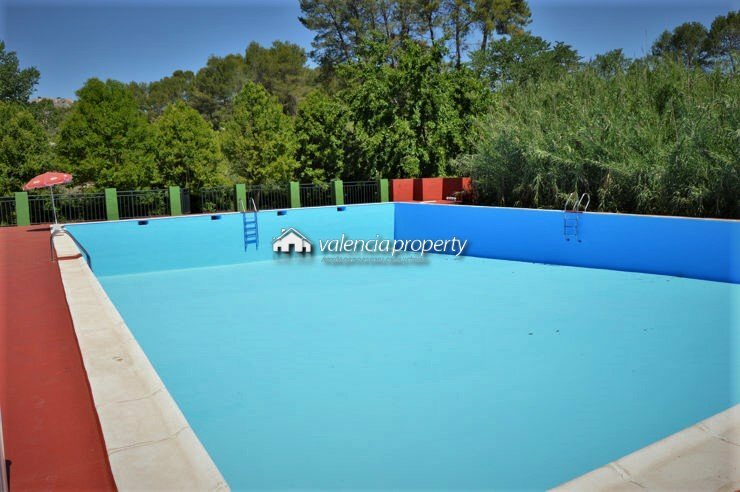 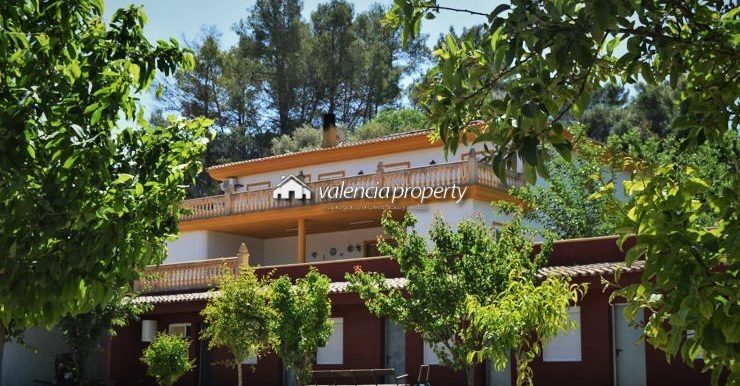 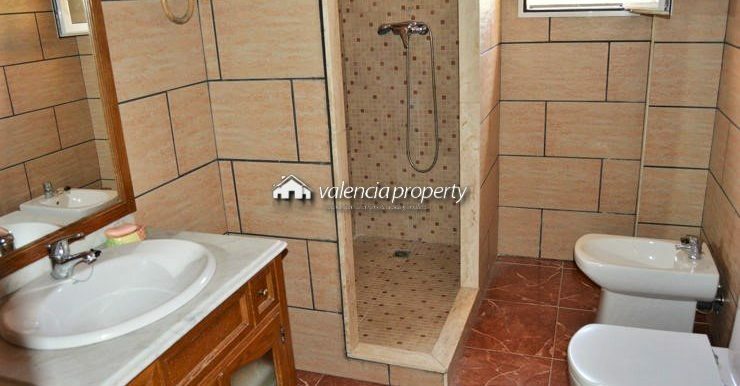 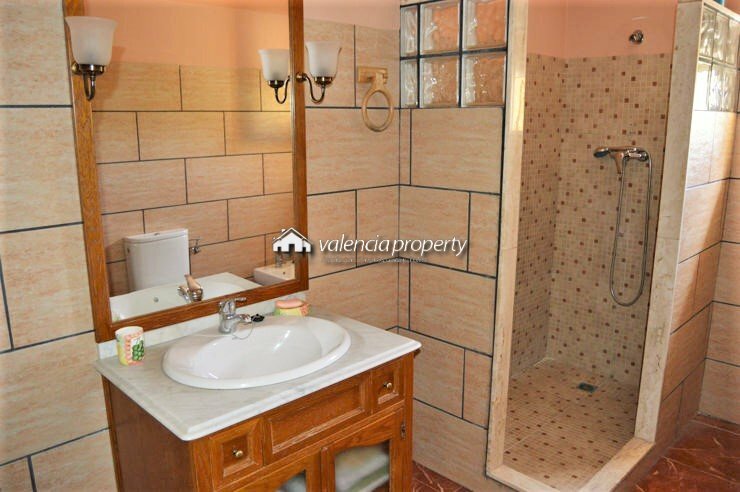 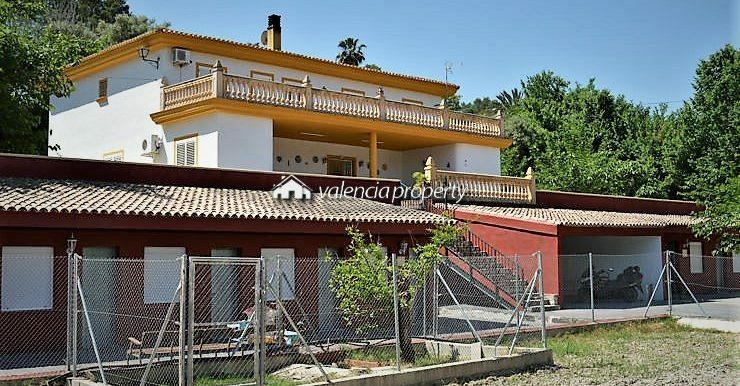 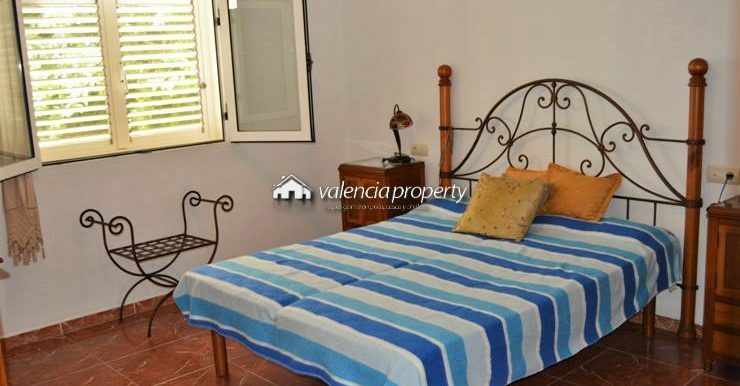 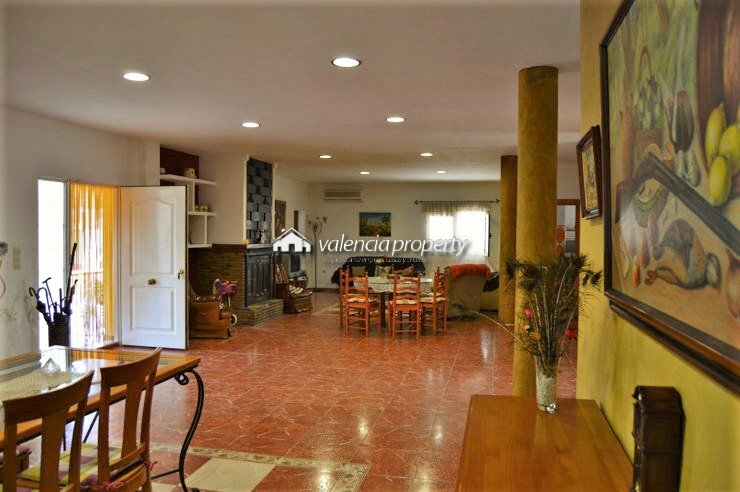 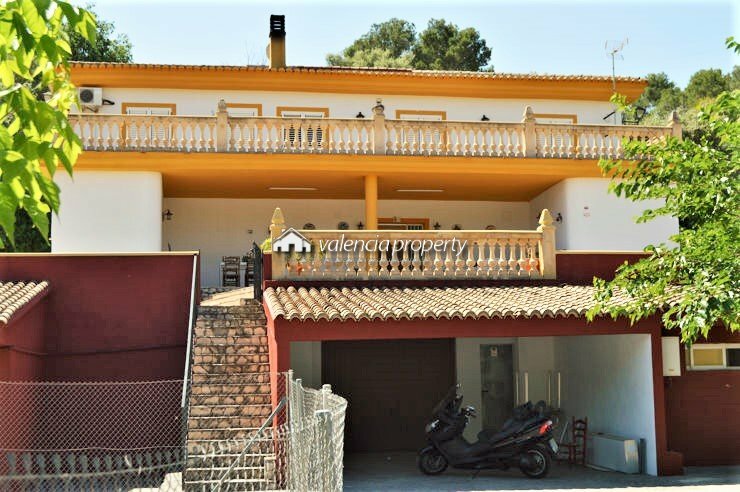 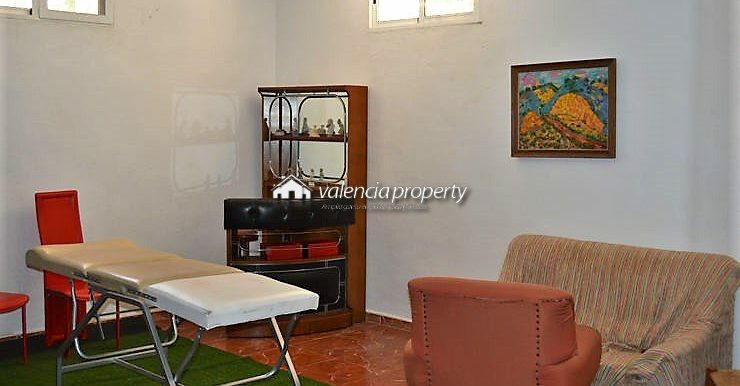 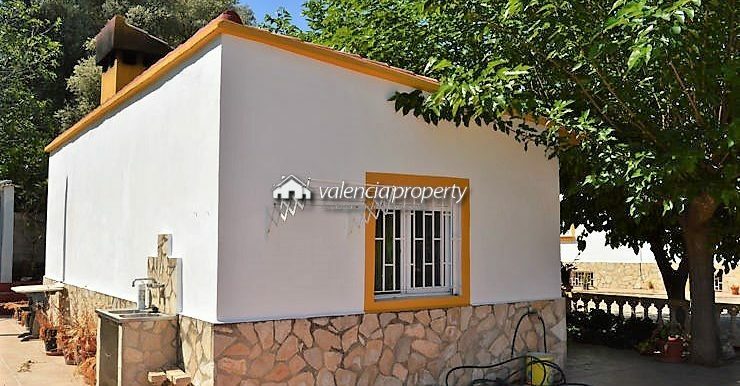 Detached Villa 11 rooms + 14 hostel type rooms + sports area (fronton + swimming pool) Located in the best area of the Bixquert valley, just 4 km from the city of Xàtiva, and a step away from the natural site of La Cueva Negra. 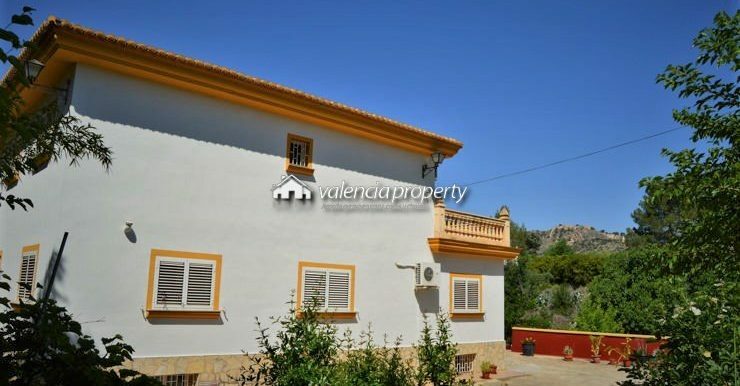 An environment surrounded by spectacular mountains, among which runs the river Albaida, with a typically Mediterranean climate and vegetation, a colorful with very varied nuances, depending on the season, and in which it stands out in a special way, the one that has built on its summit, the impregnable Castle. 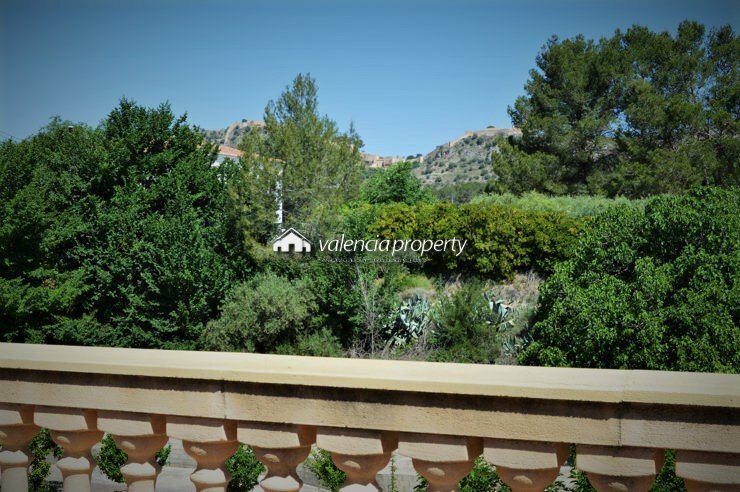 The plot is accessed by one of the main roads that runs from North to South and that divides the valley in two, East and West. 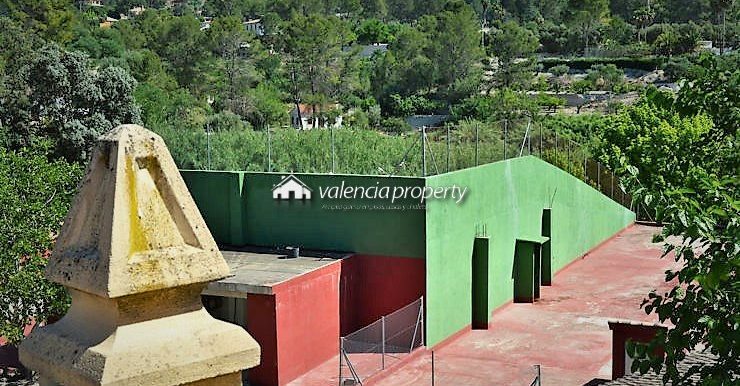 It has a steep slope but it is totally asphalted until the automatic entrance door to the property. 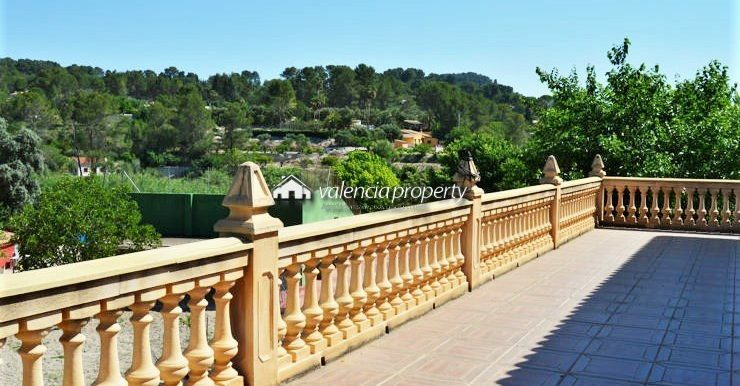 Just before the detour of the entrance one passes over a bridge that dates from Roman times. 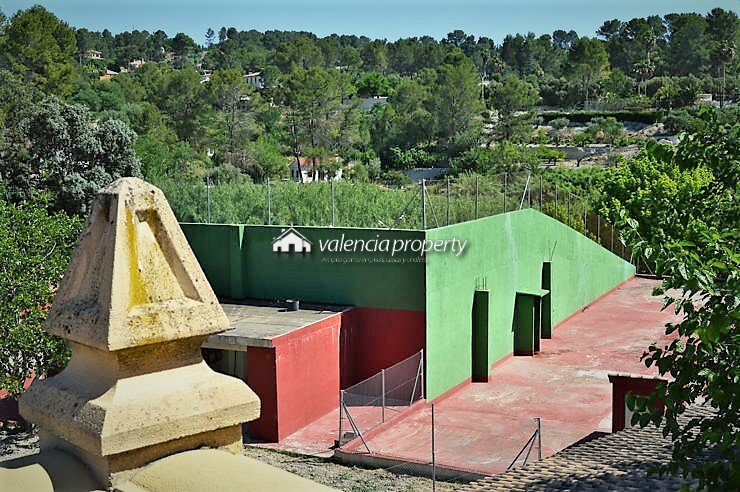 The surface of the plot is 6,323 sqm. 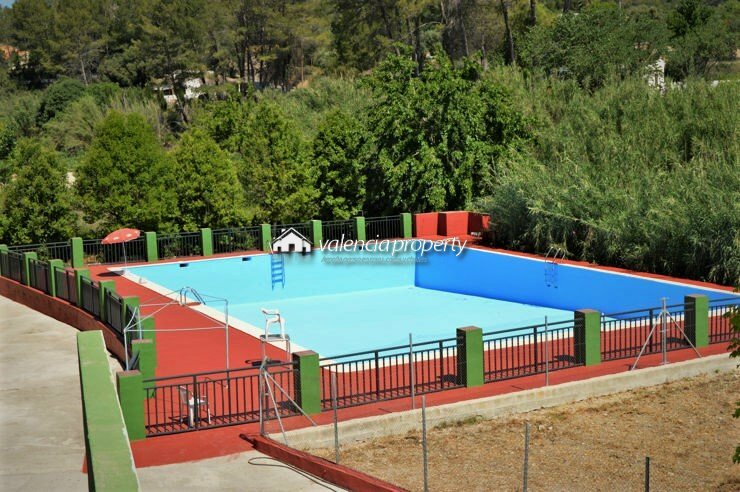 Upon entering, next to the road that leads to the main building, on a first level, are the kennel in the first place, the stables, in second place and a huge area with terrace for the pool (21×17 m), which goes up to the northern end of the plot. 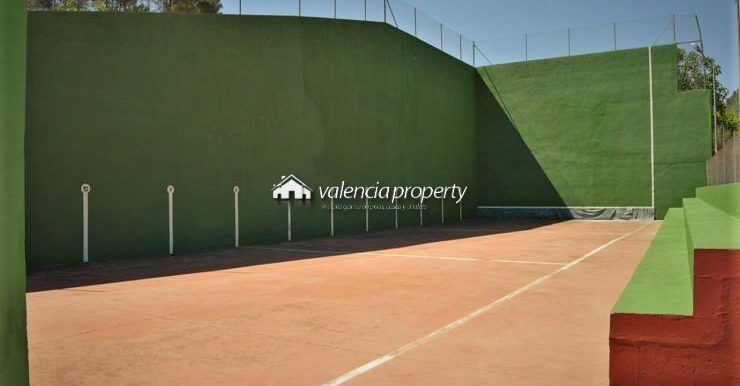 A little further on, on the left, there is a regulation track to play Valencian ball. 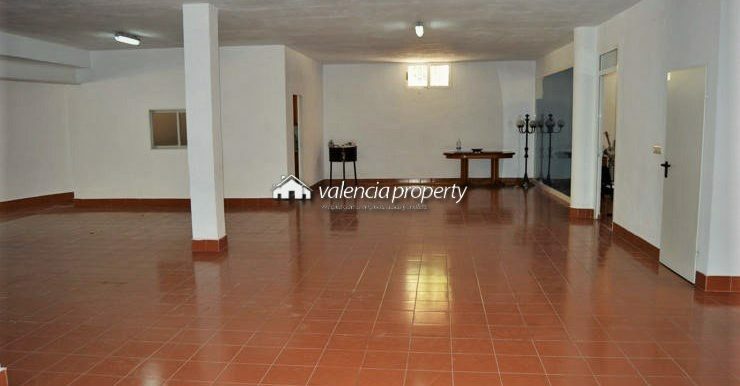 Below this structure, there is a warehouse area with several rooms. 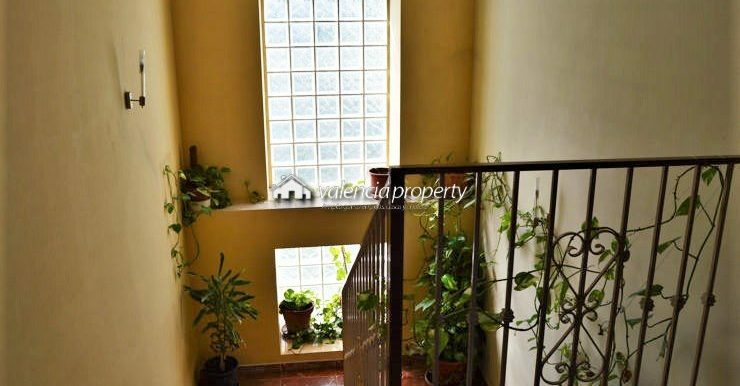 A little further up, to the right, there is a workshop, intended for any activity that is desired. 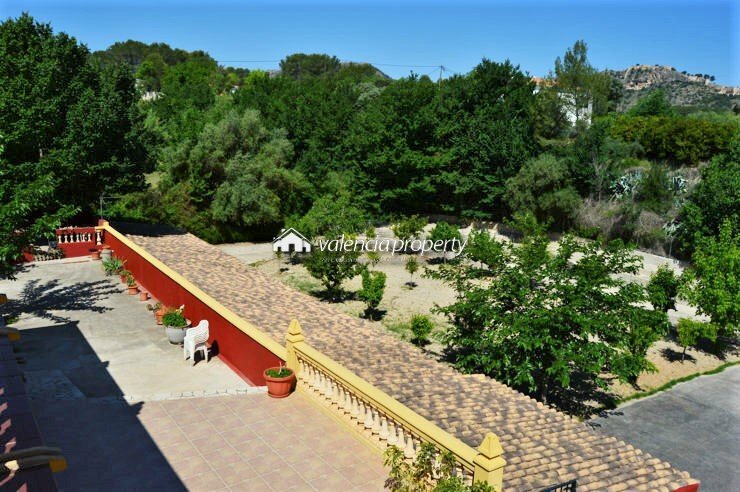 On the second level, there is a large square, with gardens and fruit trees of different varieties, and a large square with parking area for vehicles. 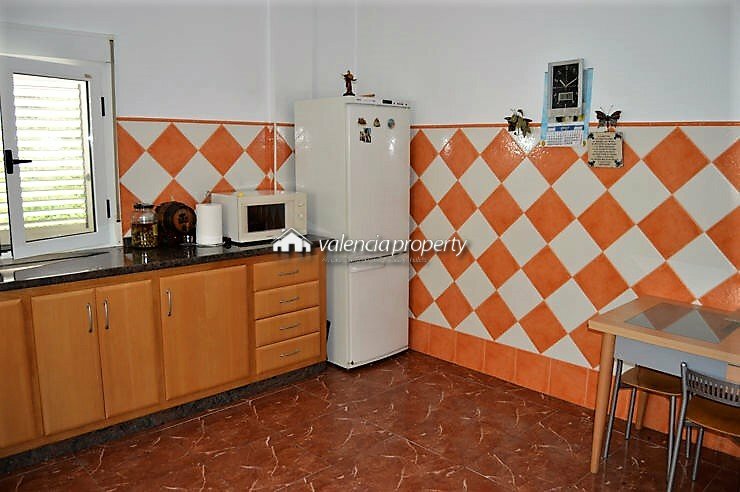 On this same level, opposite the large square, there are 14 hostel-style rooms, two bathrooms and the auxiliary kitchen. 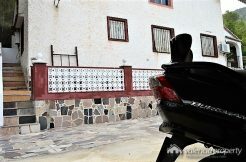 From here we can choose to go up to the house, on the third level, either through the external staircase, which allows us to access the terrace, on the main facade of the house, or through the entrance of the garage that is connected inside with the rest of the house, or also following the course of the road of cars, which ends next to the west facade. 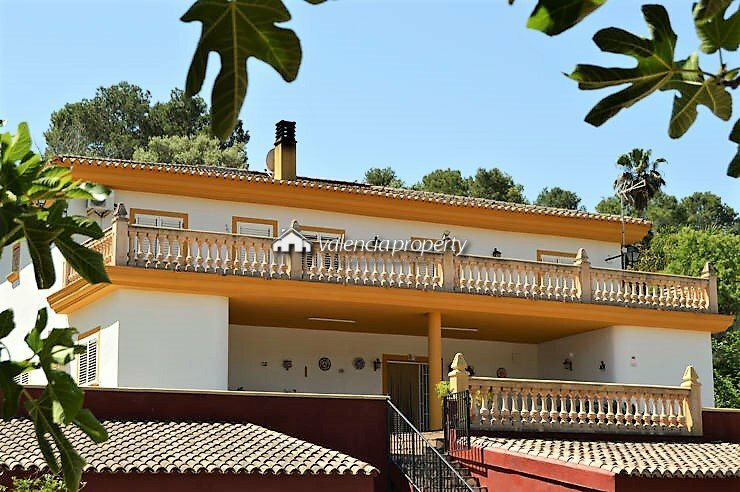 The house is solidly built and located, therefore, in the highest part of the plot, previously described, with a North to South orientation, which allows us to obtain spectacular views over the South facade of the Castle and the entire vast area of the valley, to the east. 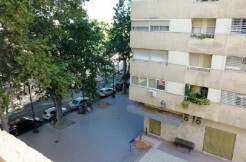 There are 1519 sqm, which are built between the house and its auxiliary buildings. 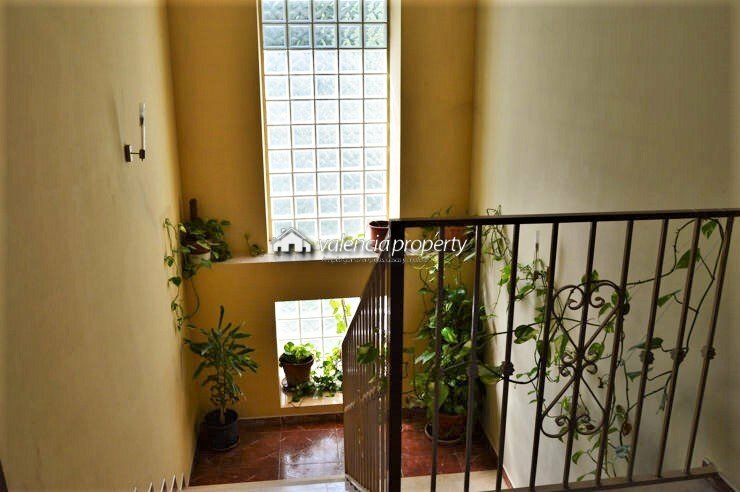 A total of 600 sqm covered area, understanding that these are the covered meters of the main house, and that are spread over three floors: ground floor, main floor and first floor. 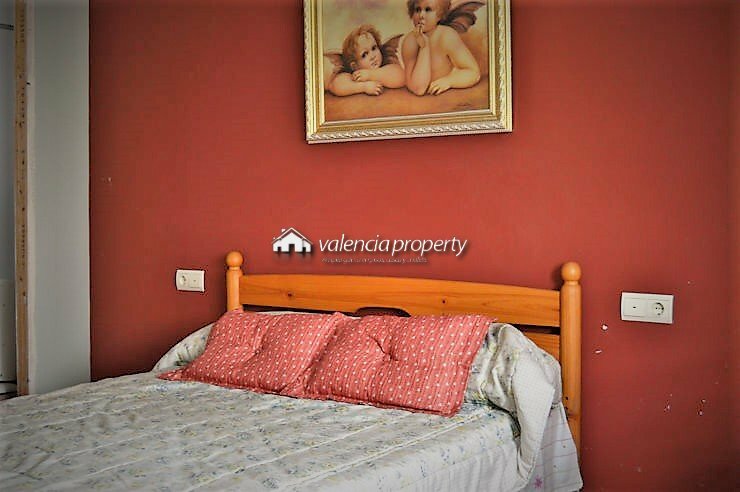 On the first floor, from a distributor or main hall next to the staircase, and through a corridor arranged in L, there are 6 double bedrooms and two single ones available. 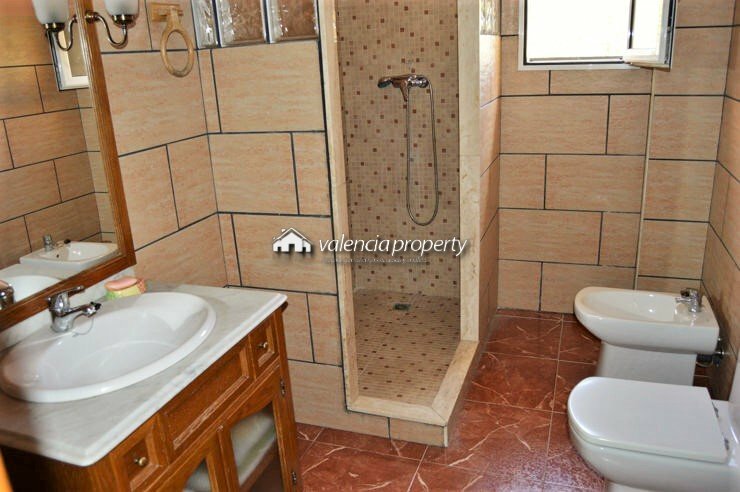 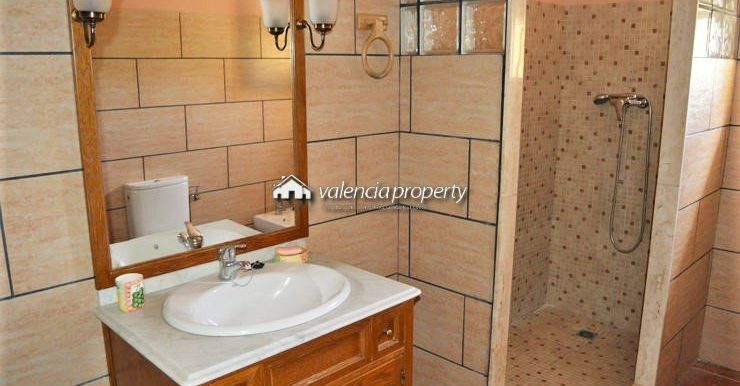 It also has two large family bathrooms. 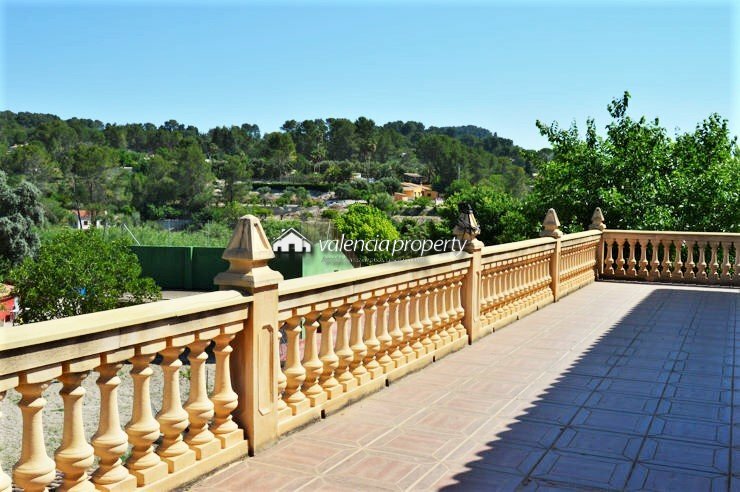 At the end of the corridor from what is the base of the “L”, you access a balustraded terrace that has splendid views of the surroundings. 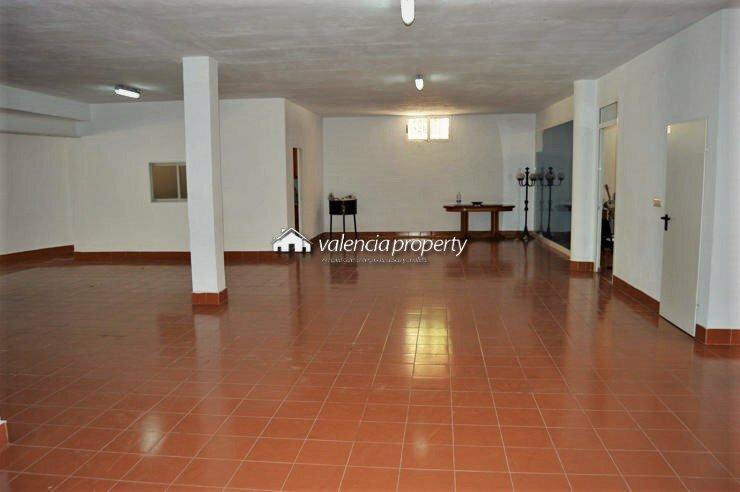 The garage, located on the ground floor has a capacity for 10 vehicles. 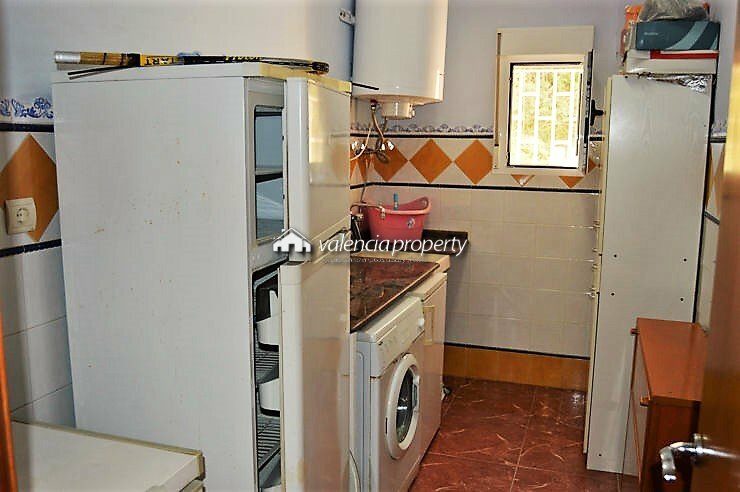 Inside there is a room (music room) and a small kitchen. 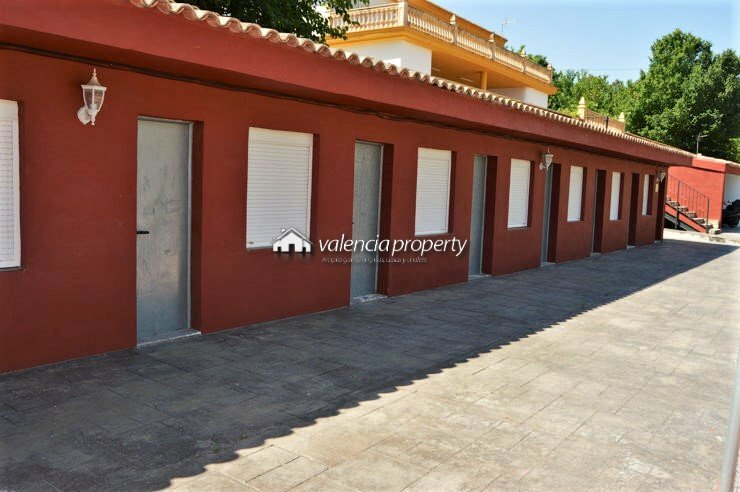 Outside next to the east facade, there is an auxiliary building with a barbecue area in the center and two rooms on the sides, one of which is a small kitchen and the other is a warehouse. 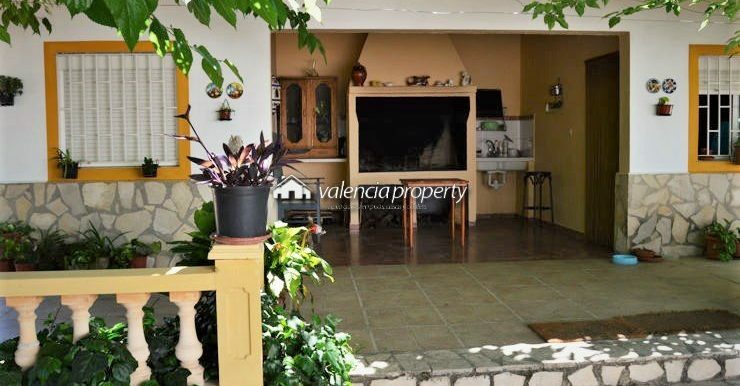 Inside this enclosure, surrounded by a balustrade, in the shade of a large mulberry tree, is where the ideal atmosphere for outdoor cooking is created, sharing with family and friends the special moments of each meeting. 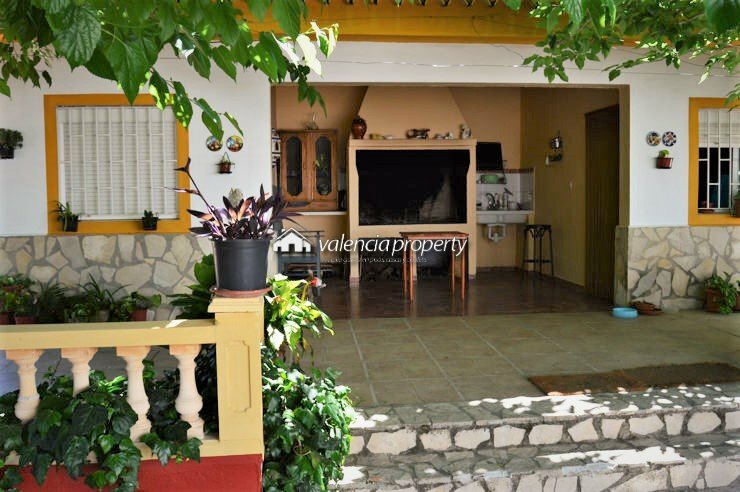 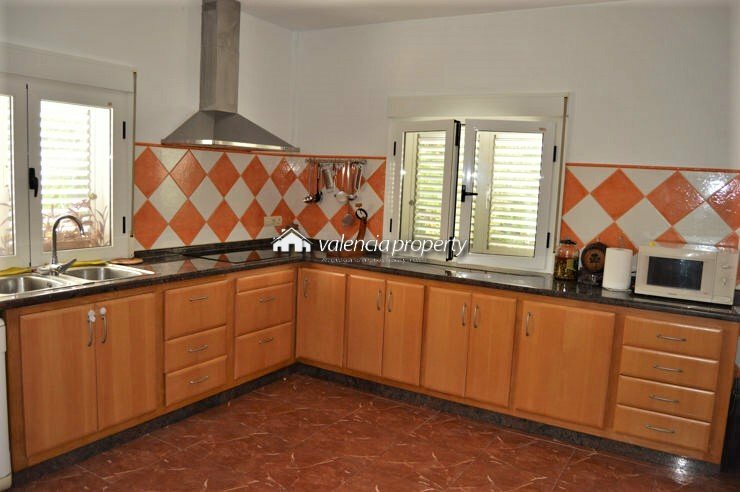 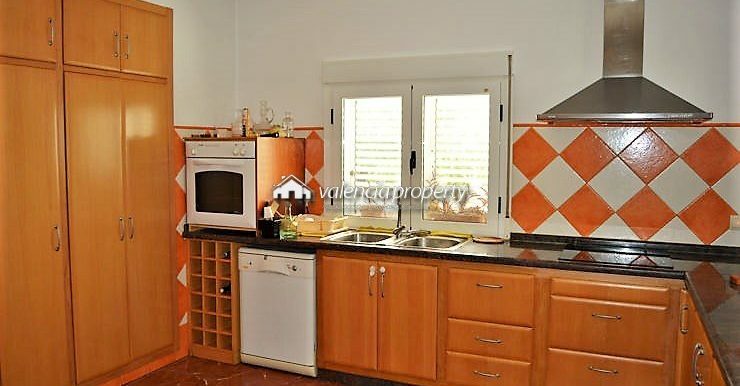 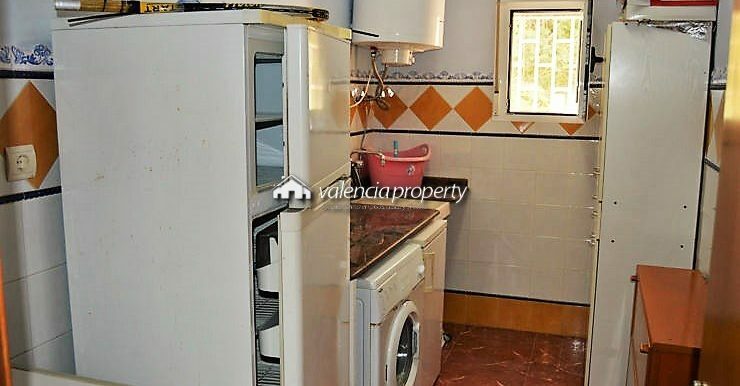 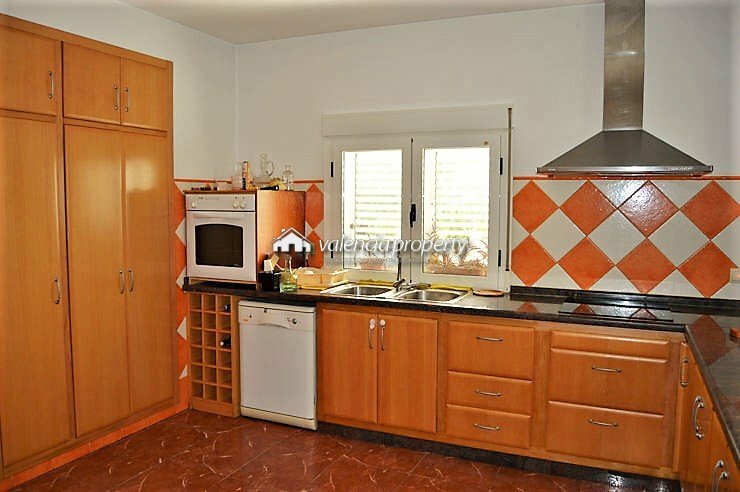 In short a property, like very few, finished with the best materials, equipped with a heating system by a large wood stove with turbine, air conditioning, PVC windows with double glazing, exterior shutters, internet, appliances and a host of other of extras.